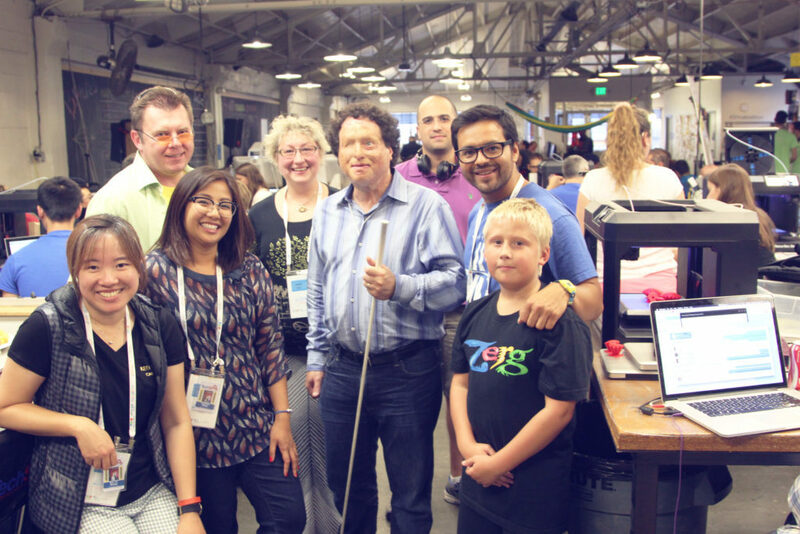 How might we improve mobility for people who are blind? If you clicked play on the video above, you will see a man using the mobility application we made during the 2015 Google and TOM (not the shoe brand) Makeathon for Assistive Technology. Over the course of 72 hours our team went from use case development to an award winning prototype. Though we had preliminary conversations with Josh about his condition, it was necessary for us to explore what opportunities there were for improving his ability to navigate independently. Over a cup of coffee, we discussed what it means to use an iphone to navigate, and mapped the high, neutral, and low points of how it feels to go out and meet with friends. We also discussed the cultural identity of being a part of the blind community. As designers we were also reminded to leave assumptions behind after realizing many of our initial, although well-intentioned, assumptions were wrong. Using the internal gyroscope of the mobile device, we used the phone as a “flashlight” that responded with sound, instead of light. Think of an AM radio analog dial going from static to the station. That same approach was used and what the phone pointed to was spoken using the Google Maps point of interest API. Update! The app was launched in the app store. To make our work available to everyone, the app was launched after the Hackathon. You can download it today for ios.